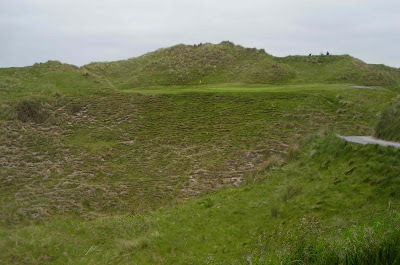 First things first: congratulations to Tralee Golf Club in its rise from 10th to 7th in the Golf Digest Ireland 2011 Top 100 Courses Rankings. It's a spectacular course with some remarkable views. And with some benign weather around at the moment, the green fee's a snip at €50. Tralee's 10th hole is going to be remodelled and the Practice Academy is to be updated. In describing the changes, Anthony decided to take a worn-out golfing cliche, bring it back to life briefly and then murder it again. “We know that we have a priceless jewel here in Barrow and you must never, ever, allow a priceless jewel to lose any of its lustre,” he said. I agree with the sentiment wholeheartedly, but sometimes a cliche this bad deserves to stay dead and buried. 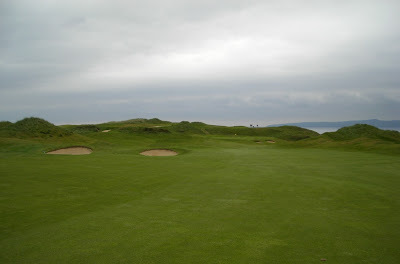 I look forward to seeing the new 10th... if I'm ever allowed on the course again!